Hidden in the heart of the old city of Barcelona is the 'cemetery of lost books', a labyrinthine library of obscure and forgotten titles that have long gone out of print. To this library, a man brings his 10-year-old son Daniel one cold morning in 1945. Daniel is allowed to choose one book from the shelves and pulls out 'La Sombra del Viento' by Julian Carax. But as he grows up, several people seem inordinately interested in his find. 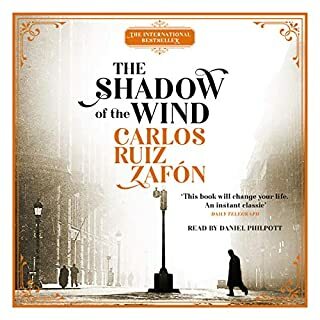 Would you consider the audio edition of The Shadow of the Wind to be better than the print version? I haven't read the print version but the audio was well read and engaging. I would recommend it. What about Daniel Philpott’s performance did you like? The book can be a little slow paced but Philpott kept things moving and there was good continuity. 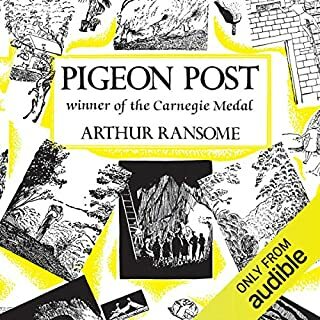 A friend recommended this book years ago and I've only just got round to listening. Why did I wait? I listened from start to finish in one weekend and resented every minute I had to unplug my earphones.